In: Applied Sciences 9 4 MDPI 2019. In: Journal of Intelligent & Robotic Systems (JIRS) n.n. 1573-0409 Seiten 1-23 Springer Nature 3/2018. In: Proceedings of the 2. VDI Fachkonferenz Humanoide Roboter. VDI Fachkonferenz Humanoide Roboter December 5-6 München Germany VDI Fachkonferenz Humanoide Roboter 12/2017. In: Proceedings of the 2017 Conference on Advances In Robotics. Advances in Robotics (AIR-2017) 3rd International Conference of Robotics Society of India June 28-July 2 New Delhi India ACM-ICPS 2017. In: International Conference on Robotics and Automation for Humanitarian Applications. International Conference on Robotics and Automation for Humanitarian Applications (RAHA-16) December 18-20 Amritapuri Kerala India Seite 22 RAHA 2016 Poster Proceedings IEEE 12/2016. In: In Proceedings of ISR 2016. International Symposium on Robotics (ISR-2016) June 21-22 München Germany Seiten 56-62 ISBN 978-3-8007-4231-8 VDE VERLAG GMBH 6/2016. In: 47th International Symposium on Robotics (ISR 2016). International Symposium on Robotics (ISR) June 21-22 Munich Germany Seiten 37-42 VDE Verlag 6/2016. In: Proceedings of ISR 2016: 47st International Symposium on Robotics. 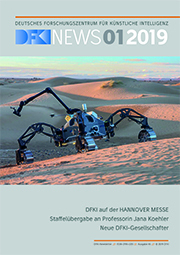 International Symposium on Robotics (ISR-2016) June 21-22 München Germany Seiten 379-386 ISBN 978-3-8007-4231-8 VDE VERLAG GmbH Berlin, Offenbach 6/2016.